You may wish to add your name to the statement below. While the Conservative government continues to arm Israel and some in the Labour Party continue to debate whether or how harshly Israel can be criticised, Palestinians are being massacred with impunity in full view of an often complicit media. 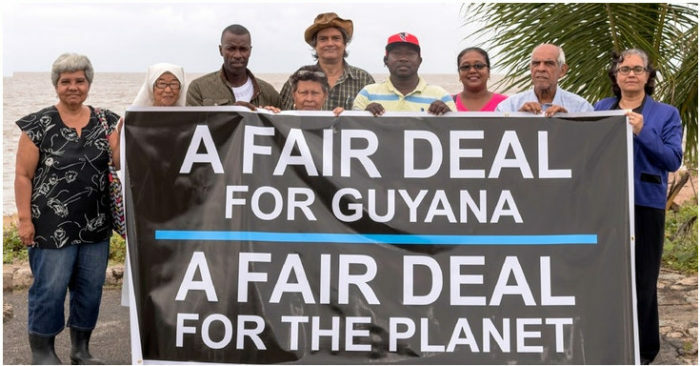 “A Fair Deal for Guyana – Fair Deal for the Planet” is a campaign by concerned citizens from Guyana and around the world. Lawyers acting for the Guyanese campaigners are to lodge the latest challenge in a court in Guyana this week. They are funding the battle against oil giants Exxon Mobil, Hess Corporation and Nexen, a subsidiary of Chinese national oil, through the crowdfunding site CrowdJustice.